Here’s your chance to celebrate, support, and participate in the rivalry like never before. Declare your allegiance and receive your race shirt in either Duke Blue or Carolina Blue. Hold on… Don’t have blue blood? That’s Okay. Choose the “Party Crasher" division and receive the custom crasher t-shirt in white and red! Fans of all schools will gather to compete for supremacy in the fun, festive atmosphere, while raising money for Durham County Special Olympics. POST RUN BEER GARDEN: Meadowmont Village Cir - Beer Garden opens immediately after the race. Blue Blood Rivalry Ale Six Packs are available at Harris Teeter, Publix, Food Lion, Walmart, Target and your local bottle shop. If your local store doesn't carry it, ask for it. Can't get to Durham on March 9th? Sign up for the BBR 5k Virtual Run and receive a T-shirt and Medallion after the race. With runners in 18 states and the District of Columbia last year, we plan to reach all 50 this year! 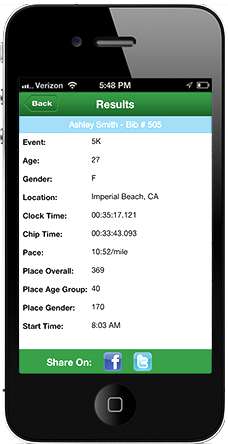 You can run the Virtual Race anytime and anywhere! We encourage you to run before the race date and send us your photos (info@bluebloodrivalry.com) or simply post your picture on Instagram or Twitter (make sure your account is set to public when posting) with Hashtag #BlueBloodRivalry to be featured on our website (BlueBloodRivalry.com). We want Duke, Carolina, NC State and Party Crashers world-wide, no matter where you are on race day, to get involved with the Blue Blood Rivalry 5K to support the Special Olympics. Help us light up the entire United States of America, while supporting the the Special Olympics. Sign up to be a Virtual Runner! Who has the most fanatics? Only you can tip the scales in your favor. Take this rivalry to the streets! This year, we have partnered with the Special Olympics of Durham and after the race, we will donate 50% of our gross profits to this local charity. We appreciate everything they do not only for our community.. Help us thank them and register now! Plenty of parking available at Meadowmont Village behind the shops. DON'T FORGET TO LOAD UP ON ADDITIONAL BLUE BLOOD SWAG! CLICK HERE FOR OUR SHOP! Duke-Carolina, The Blood Blood Rivalry Movie - Go behind the scenes on game day and gain an inside perspective from the coaches, players, broadcasters, students and other fans that have lived for what is called the greatest rivalry in sports!